In 1974, SUN 'n FUN was created by a small group of dedicated aviation enthusiasts. The annual event, held in April, has grown into the second largest event of its kind in the world and is Florida’s largest annual convention. 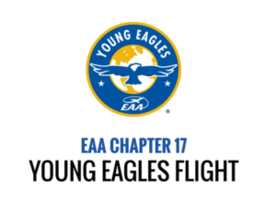 George, who is President of EAA chapter 17, will again be flying his Cessna 182 giving several Young Eagles their first flight on May 12th 2018 in Knoxville Tennessee. If you want to read more about this amazing experience, click here. 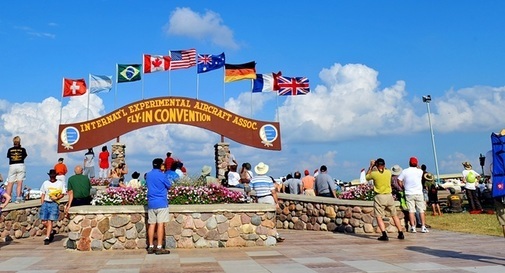 Whether you come to fly or come to watch, when you visit EAA AirVenture Oshkosh, you experience the world's greatest aviation celebration. Warbirds. Vintage. Homebuilts. Ultralights. Aerobatics. And you. 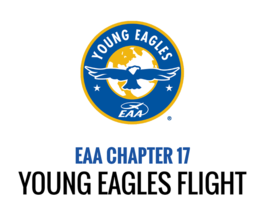 George, President of EAA Chapter 17 relates how was his experience during the Young Eagles Flight this past May 13th. "May weather finally allowed us to hold a very successful Young Eagles rally at Downtown Island Airport. We had 100 kids registered to take their first flights, but only 63 showed up and flew for the first time in their young lives.The parents were just as excited as the kids. This was my first Young Eagles event and I got to take 7 kids up myself." Also, take a look at the gallery, here. In 1974, SUN ‘n FUN was created by a small group of dedicated aviation enthusiasts. The annual event, held in April, has grown into the second largest event of its kind in the world and is Florida’s largest annual convention. George will be representing EAA Chapter 17 of Knoxville and will be setting up an info tent at the air show. He is President of EAA Chapter 17. We guest star on Auto World Radio once every month to answer customer questions. Auto World Radio is giving listeners all over North America the opportunity to share their love and enthusiasm for automobiles by giving them the opportunity to talk with experts directly. Auto World is presented in a pedal to the metal fun format, and hosted by the #1 Automotive Radio personality in America, Bob Long. Check it out today!